Mushroom substrate preparation set up for the small mushroom farmer. These days it is fairly easy to put into action your Do It Yourself solution for the mixing of your substrate and the filling of the tubes. All you need is a few tools with the right measurements and a willingness for some manual work. 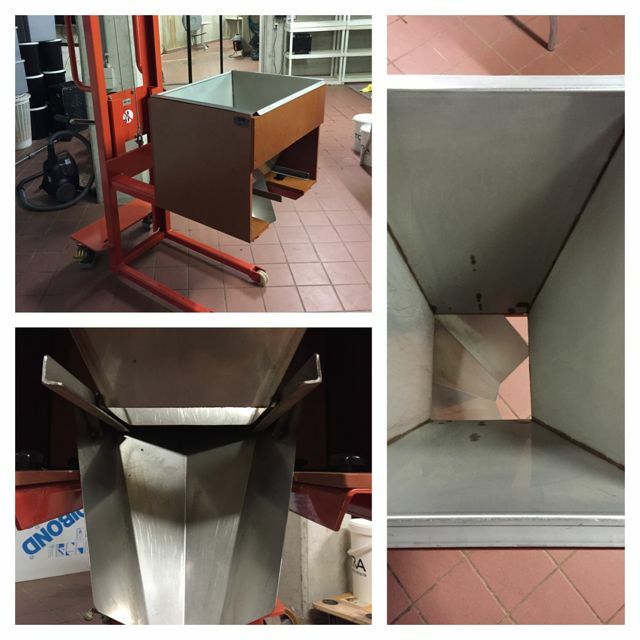 At our company, we use a portable mini station with a capacity of 45-56 kg of coffee substrate. The portable mini filling station is equipped with eight cylindrical tubes with a length of 92 cm and a diameter of 16 cm. Each cylindrical tube can be filled with up to 7 kg of coffee substrate. 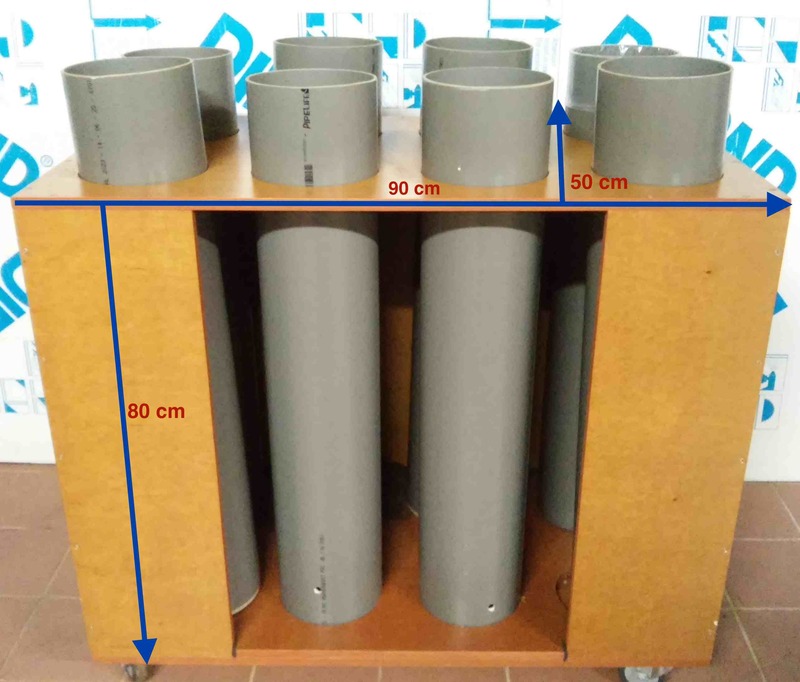 The eight cylindrical tubes are put into a portable station that looks like a quadrangular box. Its dimension are: the front side is 80cm length x 90 cm width; the upper side is 90cm width x 50 cm length; the rear side is 50cm width x 80 cm length. The front side is better to remain 50-60 cm opened. Then it comes to the steel funnel where the coffee substrate is poured from the mixing machine. It is put into a box with dimensions of 52cm height x 65 cm width and its rear sides’ dimensions are 53cm height x 51 cm width. 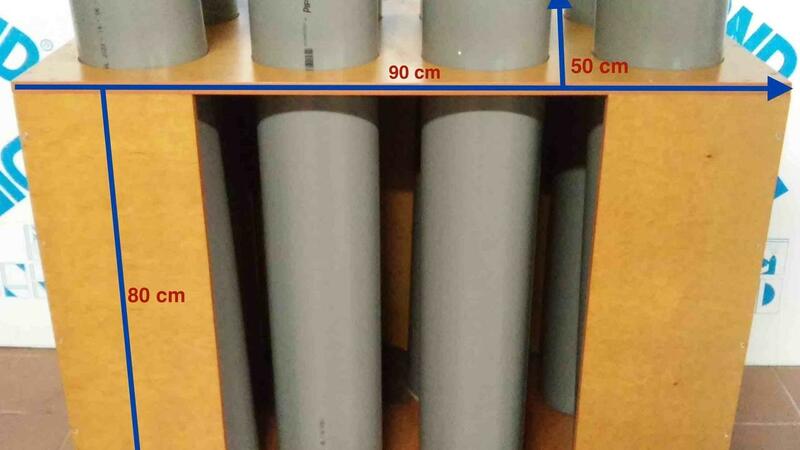 The funnel itself, the top part has a width of 65 cm and length of 52cm, and its bottom quadrant part has dimensions of 14cm x14cm. This portable coffee substrate- filling machine is very handy and can GET the job DONE. At rotterzwam, we have been using this solution for over 3 years now and we are very happy with it. For our new farm, however, we will switch to something bigger. Follow the build of our new farm on our YouTube channel. It is time for you to try this or to suggest a better solution so the whole network can benefit. We would love to see your comments in the comment box below.